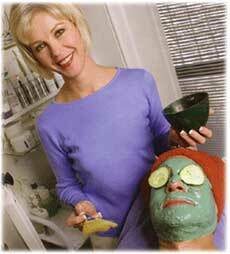 Voted "Best Facial" Oct 2002 by Austin Monthly. A licensed aesthetician for over 29 years. Over 30 years in the beauty business. Diane Stevens is the owner of a full service skincare salon in Austin, Texas. She has been involved in the beauty business for over 30 years and has been a licensed aesthetician for over 29 years. She was selected as the top aesthetician in the Austin area by Austin Monthly magazine. Diane has a keen knowledge of skincare products and has recommended products that are essential in obtaining and maintaining a youthful skin appearance. Her product descriptions will allow customers to easily understand what products are right for them. If further information is needed, please do not hesitate to call us at (512) 306-1792 for a prompt response to your questions. Treatment begins with in-depth analysis of the skin, followed by deep pore cleansing or surface active peeling, European massage, and customized skin correction treatment through specialized ampoules, serums, and masks specially selected according to your skin needs. Highly unique and specialized, these high-tech treatments are chosen after an in-depth cleansing and analysis for your skin's specific needs for superior results on dehydrated, aging, flaccid, and oily/acne skins. 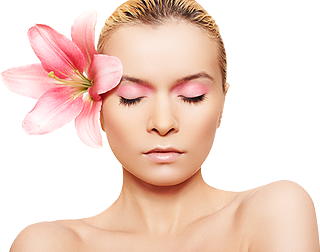 These treatments offered include the SOTHYS Paris Institute Treatments. Glycolic Acids or (AHA's) help to loosen or break up the thick horny layer of this skin where excessive build up of dead skin cells can be associated with many of today's common skin conditions. The loosening of the outer skin layers leads to sloughing of dead skin cells which in turn has been shown to be effective care for clearing and cleaning pores in acne prone skin, smoothing fine lines in older photoaged skin, and generalized relief of thickened, dry skin. The Compu-Lift not only slows the aging process but when started early enough it may delay or totally eliminate the need for more invasive treatments. Although not considered a replacement for surgical procedures, micro-currents are found to promote healing in both pre-operative and post-operative situations. Micro-dermabrasion - progressive, non-invasive treatment that propels natural mineral crystals onto the surface of the skin for gentile epidermal abrasion that reveals newer, healthier, younger looking skin. Micro-dermabrasion works in two ways: -Correction and Stimulation- Little discomfort, safe for skin problems that can be treated, sun damaged skin, uneven granular fine lines, wrinkles, enlarged pores, blackheads, superficial scars, and some stretch marks. We use the world famous CIREPIL family of French Depilatory waxes. Superfluous hair removal provides a longer lasing and more effective method of hair removal than shaving, bleaching, or using depilatory creams. Revitalight incorporates a unique photopulsation technology. The frequency and duration of the LEDs in the process are the keys to Revitalight’s safe and effective light technology that gradually helps alleviate the signs of aging. This non-invasive, gentle and effective cosmetic skin treatment can improve the appearance of your skin easily and painlessly. Collagen & Hyaluronique-Anti Aging Facial: This facial packs a powerful punch of peptides, antioxidant, firming collagen and hyaluronic filling agents. Reveals. a more youthful and radiant skin. Hydroptimale TH3 3-Dimension Auto Hydrating Facial: Regardless of skin type age or season, hydration is an essential need. This intense moisturizing facial provides the skin with unequalled hydrating. Resurfacing Peeling Facial: A gentle yet effective dual-action exfoliation that reveals a softer cleaner complexion using an active combination of glycolic and salicylic acids that lift away dead surface cells. Seasonal Facials: Specially designed facial using purest ingredients of the season's harvest. Speciality Facial from Eminence Organic Skin Care from Hungary: Customized for your specific skin type using a most unique and effective line of natural skin care products, brimming with healing herbs, luscious fruits and vegetables.